Today, STC appointed its former Richard Wherrett Fellow Paige Rattray in the new role of Associate Director. Paige, who is currently Associate Artistic Director for Queensland Theatre, will commence her new position here at STC on 30 May this year. Paige has previously directed Black is the New White, Power Plays and Boys will be boys for STC. Other work for STC includes being Dramaturg on The Golden Age, and Assistant Director on Speed-the-Plow, Arms and the Man, Battle of Waterloo and Travelling North. As Artistic Director Kip Williams put it, "Paige is one of Australian theatre’s most respected artistic leaders and exciting directors. Throughout her already impressive career she has demonstrated a strong commitment to and gift for the development of new Australian work, and this will be a central part of her role at STC." 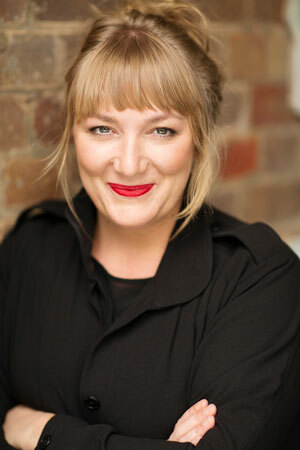 Paige herself is "looking forward to working with Kip, Patrick McIntyre and the brilliant team at STC to create and realise a new vision for the next stage of Sydney Theatre Company's journey as they renovate The Wharf and ready it for the next generation of Australian theatre makers and stories." She will join the team of STC Resident Artists which includes Resident Director Imara Savage, Resident Designer Elizabeth Gadsby, Patrick White Playwright’s Fellow Andrew Bovell and Directing Associate Jessica Arthur.